Did you miss getting a "Thankful" decal last month? No worries! 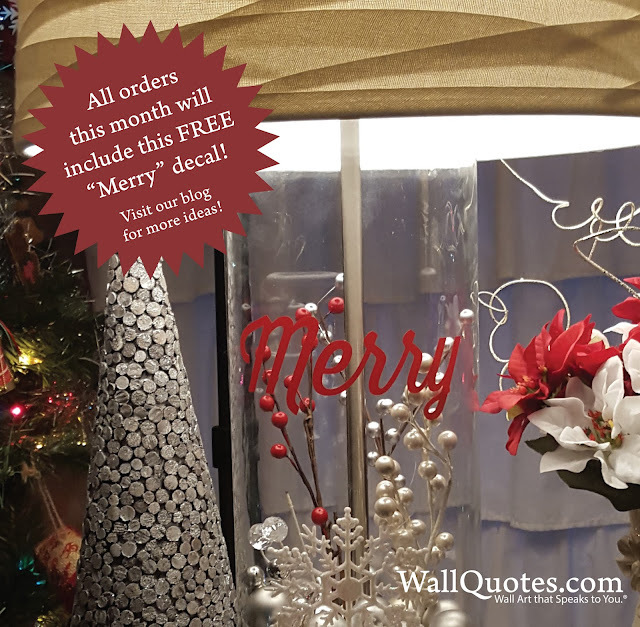 We have another super cute and seasonal decal we are including FREE with every purchase this month! Let's all take this time to remember to be "Merry" during the holidays! We have some more simple ideas on how to use this new decal around your home. 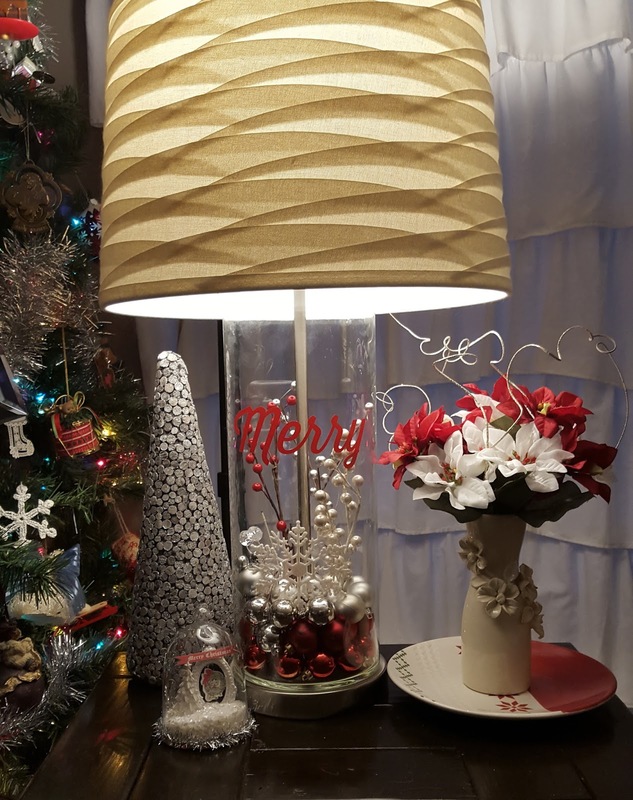 First up, and pictured above, I have some great fillable lamp bases in my living room (Thanks to my mom and a bridal shower gift earlier this year) so this is my first time getting to fill them for the holidays! I was so glad to have my "Merry" decal (in Dark Red) to take these to the next level of cuteness and holiday spirit! 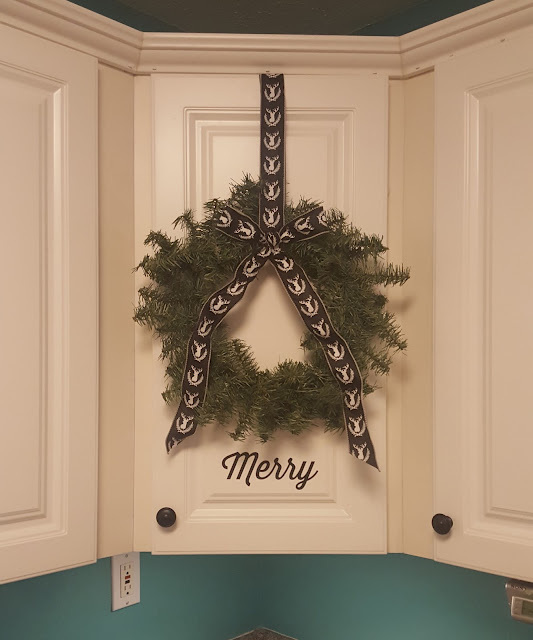 I love putting a little holiday touch in the kitchen too. It needs to be simple because there's always so much already going on in there, but something fun, festive, and happy nonetheless. I used our cute little Merry decal (this time in Black) and went to work! Behind the scenes I used a command hook (upside down) and tied the ribbon in a knot around it to hold the wreath in place. This is truly a temporary decor piece and would be PERFECT for an apartment where you can't do anything permanent. The decal will peel right off when you need to with no damage at all to the paint or cupboard. You can see this is the corner cupboard of the kitchen and we are in there multiple times a day. It makes me smile every time I see it. 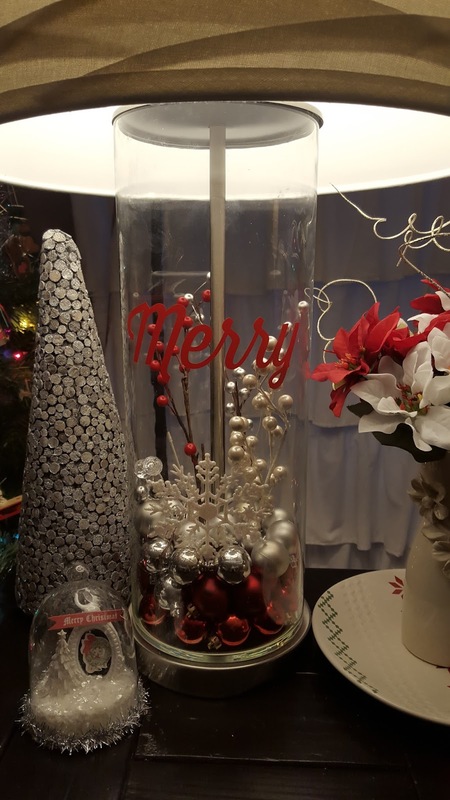 So, look for more ideas coming up this week, watch for your very own "Merry" decal in your next package, and share with us how you're using it! Use #WQinspired on social media (we're on Instagram @wallquotes and Facebook @belvederedesigns) and we'll be featuring some of our favorites all month long!